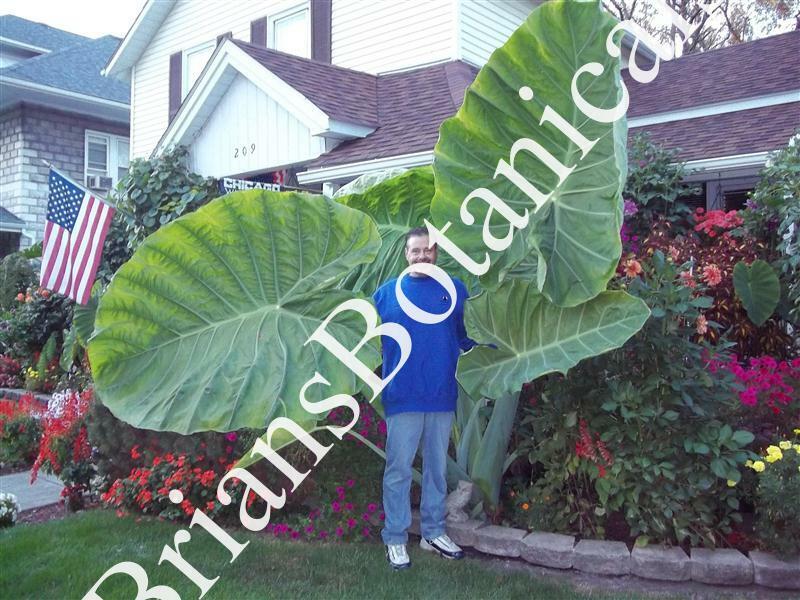 Colocasia Gigantea (Giant Thailand Strain) is a monster plant extremely fast growing. Producing huge leaves 4 to 6 feet long and 3 to 5 feet wide. I have seen photos of mature plants in the wild up to 10 to 12 feet tall. The first year I grew the plant I was able to take a 4 inch tall plant and get it to over 8 feet tall in one season which is around 5 months. It is a great center piece plant and demands attention in any display. I highly recommend it for the tropical look in a large pot on in a landscape you cannot go wrong with this one for a dramatic statement. The plants offered were grown from seed and are very well rooted in 4 inch pots and are around 8 inches tall.? Plants sold in late fall to winter may have foliage removed or cut back. Plants will not be shipped out of country. Please only USA orders only.